Laboratory-based X-ray Diffraction Computed Tomography (DCT) determines the 3D distribution of crystallographic orientations in a solid by detecting and interpreting X-ray diffraction spots and tracing them back to their origin point (Fig. 1). Versions of this method have been available at synchrotron facilities (Ludwig et al., 2009), but Zeiss is developing the first laboratory instrument with this capability. 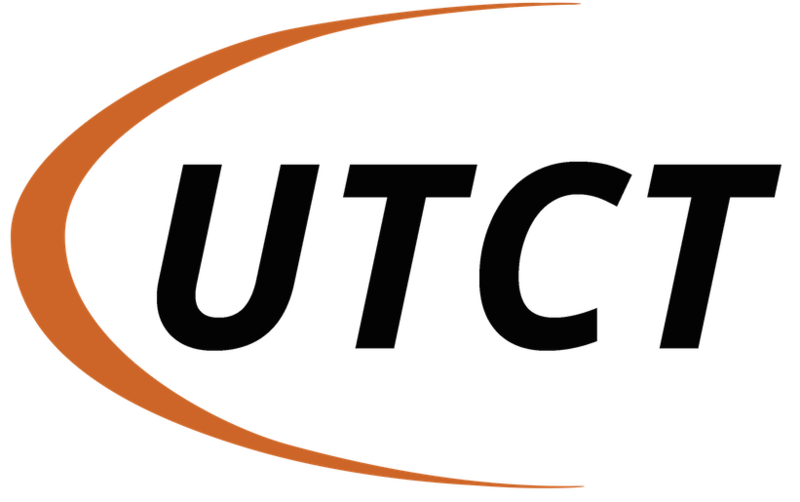 UTCT recently partnered with Zeiss to collect 3D crystallographic datasets of a pair of chondrules from the Bjurböle meteorite. The larger sample, a barred-olivine chondrule (Fig. 2 and video), was imaged at 2.5 microns per voxel. 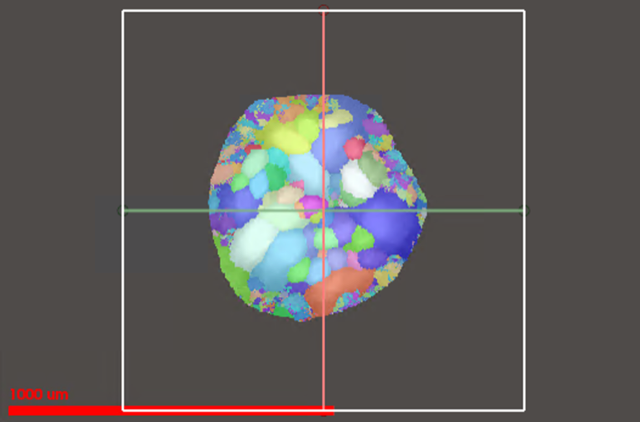 Due to its larger size (1.8 mm) only the central portion of the chondrule was analyzed with DCT, but the results clearly show two distinct sets of bars (actually plates in 3D) – one set aligned along the <100> axis direction and the other aligned along the <010>. The smaller sample (~850 microns) is a porphyritic olivine chondrule with several individually-orientated olivine grains within it (Fig. 3). 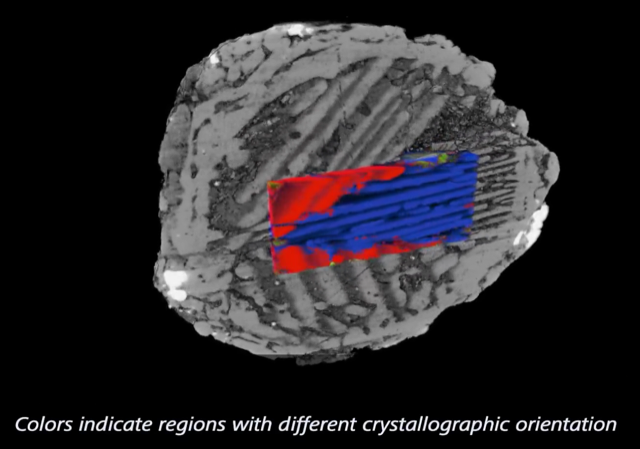 The crystallographic orientations of olivine within chondrules can provide information on their formation conditions in the early solar nebula, but to date these studies have been limited to 2D (e.g., Libourel and Portail, 2018). By expanding this type of analysis to 3D we will be able to more accurately determine how the chondrules crystallized and how they interacted with the surrounding nebular gas. Figure 1. DCT configuration. Illustration courtesy of Zeiss. Figure 2. DCT data (color) overlain on absorption tomography data (grayscale) of a Bjurböle barred olivine chondrule. Figure 3. DCT data slice of Bjurböle porphyritic olivine chondrule colored by grain ID. Ludwig, W., Reischig, P., King, A., Herbig, M., Lauridsen, E.M., Johnson, G., Marrow, T. J., and Buffière, J.Y., 2009, Three-dimensional grain mapping by x-ray diffraction contrast tomography and the use of Friedel pairs in diffraction data analysis. Review of Scientific Instruments, 80, 033905. Libourel, G. and Portail, M., 2018, Chondrules as direct thermochemical sensors of solar protoplanetary disk gas. Science Advances, 4, eaar3321.